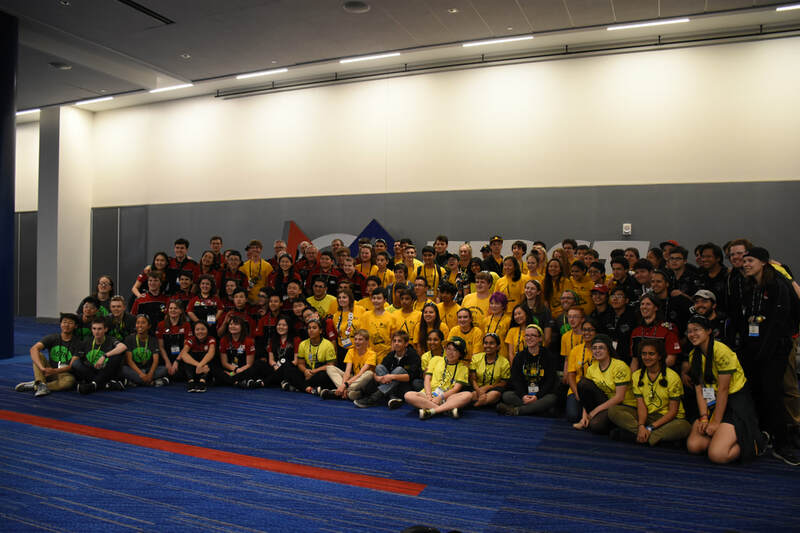 The 2018 season ended with some exciting matches and major team firsts when our team competed against more than 400 teams at the FIRST World Championships in Houston, Texas. We seeded second after qualification rounds in the Newton division, and as alliance captains we selected 1619 Up-a-Creek Robotics, 1723 FIRST Bots of Independence (FBI), and 4061 SciBorgs to win the division and advance to the Einstein finals. 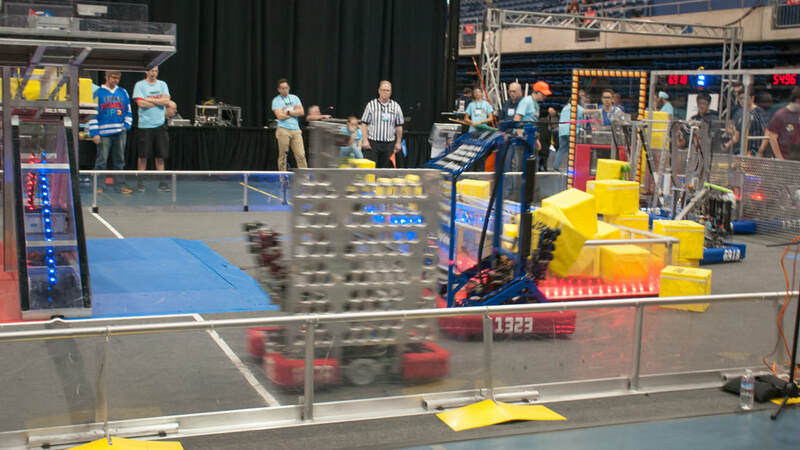 For all of our alliance partners, this was the first time that any of them had played on Einstein in the World Championships. 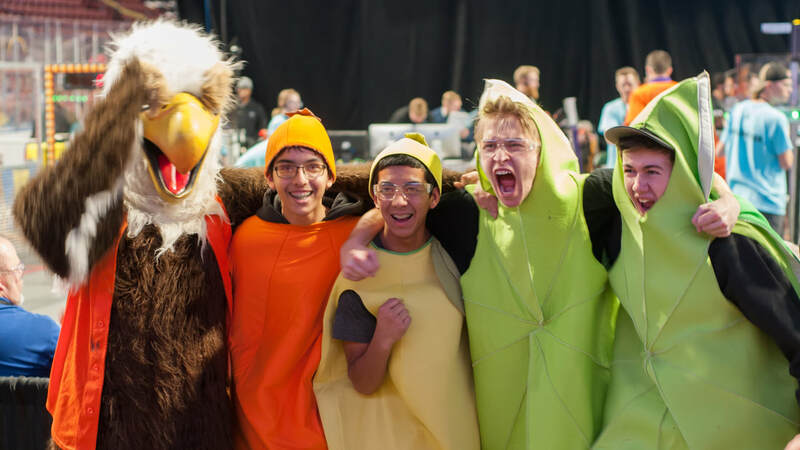 This is the sixth year in a row that we have advanced to the Einstein finals as alliance captain or first pick on the first-seed alliance, the only team in FIRST history to do so. After the round-robin eliminations, our alliance finished in third place overall. At the competition, we took home the first-ever autonomous award, sponsored by Ford, for our consistent three-cube autonomous mode. This is the the first technical award we have received at Champs. Our team also competed for the Chairman’s award at the World Championships for the first time in team history. 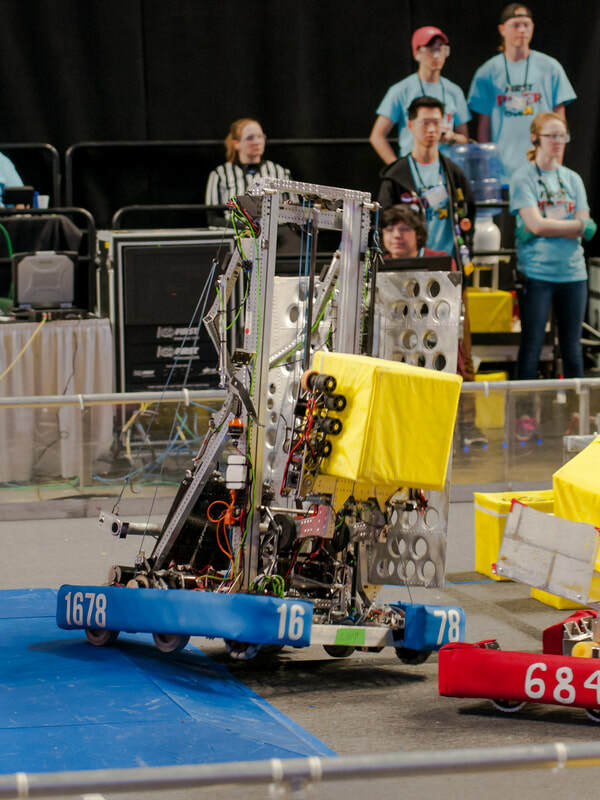 Throughout the competition, Citrus Service - a group of students that assist other teams before upcoming matches - successfully helped numerous teams with everything from bumpers to coding. In addition, we also coordinated a battery-exchange program for foreign teams. We closed out the regular season by winning our third blue banner of the year at the Central Valley Regional in Fresno, CA. 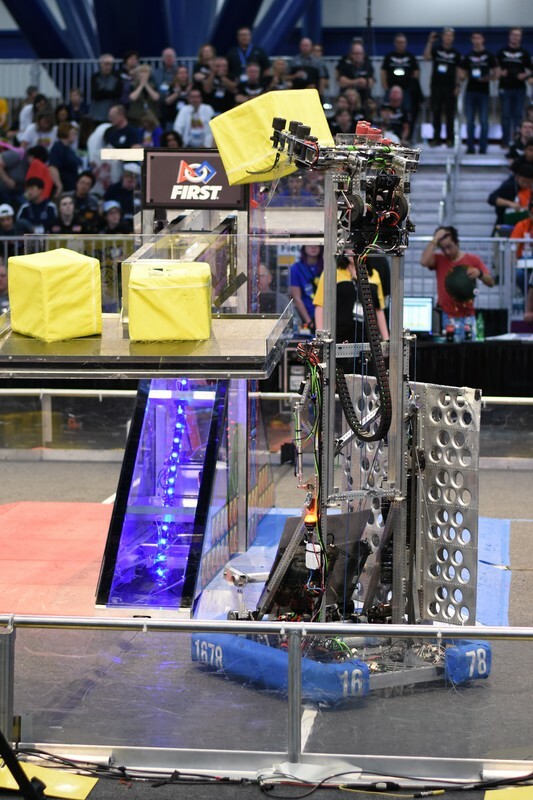 Competing in a field of 48 teams from across California and Hawaii, 1678 finished qualifications with 11 wins and one loss in the team’s final match. Despite the loss, we were the number one seed and chose our Sacramento Regional championship partner 1323 MadTown Robotics from Madera for our alliance, along with 4698 Rio Robotics from Sacramento. Together the alliance was undefeated during eliminations, winning in the final matches against a strong alliance led by 1538 The Holy Cows. Also at the Central Valley Regional, we won our first Entrepreneurship Award, which honors a team that has developed a comprehensive business plan to define, manage, and achieve the team’s objectives. The Business and Media subteam has been working toward this award for several years, and was especially proud to be recognized for the achievements of our students in creating a sustainable framework that has helped us reach its competition and outreach goals. We had a blast competing at the 2018 Sacramento Regional. 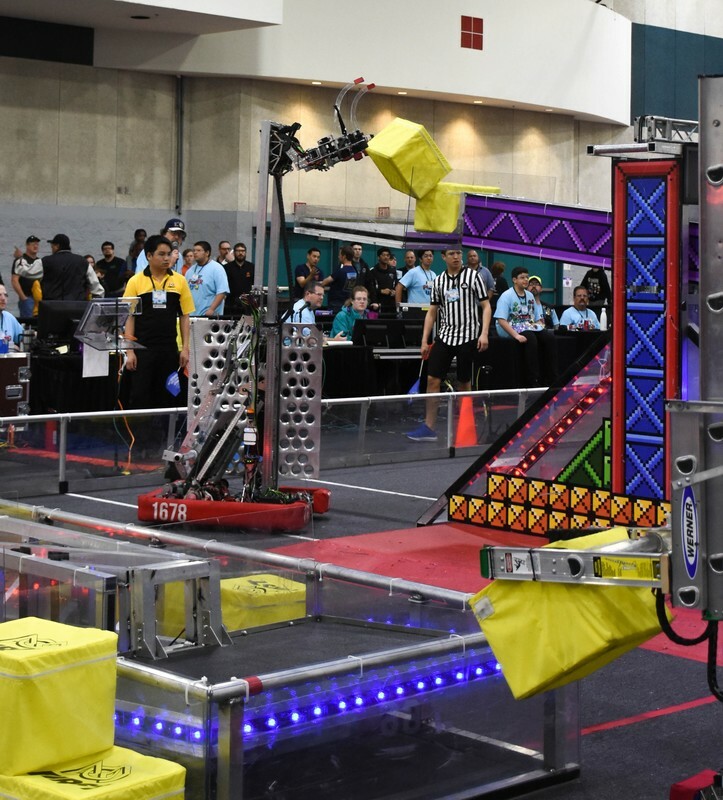 The Regional took place at the ARC Pavilion in Davis, CA, with 66 teams competing from Brazil, Hawaii, Nevada, and California. 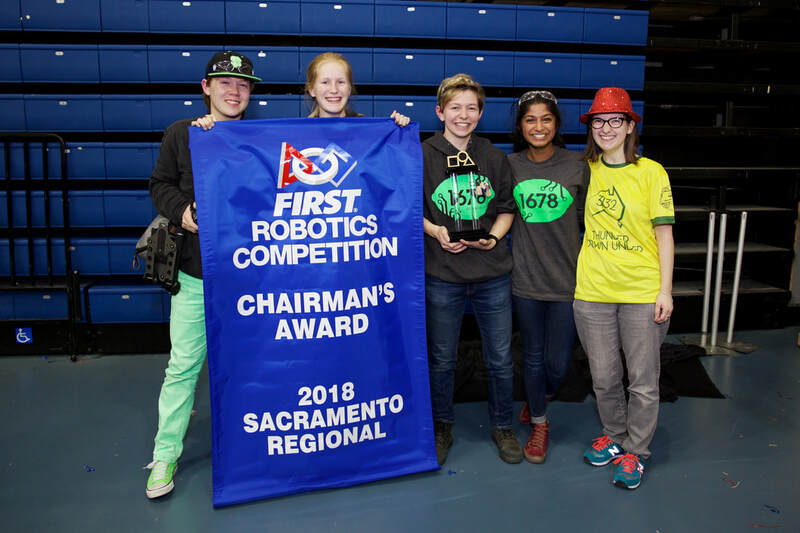 During the Sacramento Regional we were thrilled to win the Regional Chairman’s Award! We’ve worked for years to reach this point in the development of our team, and this award is a remarkable accomplishment for us. 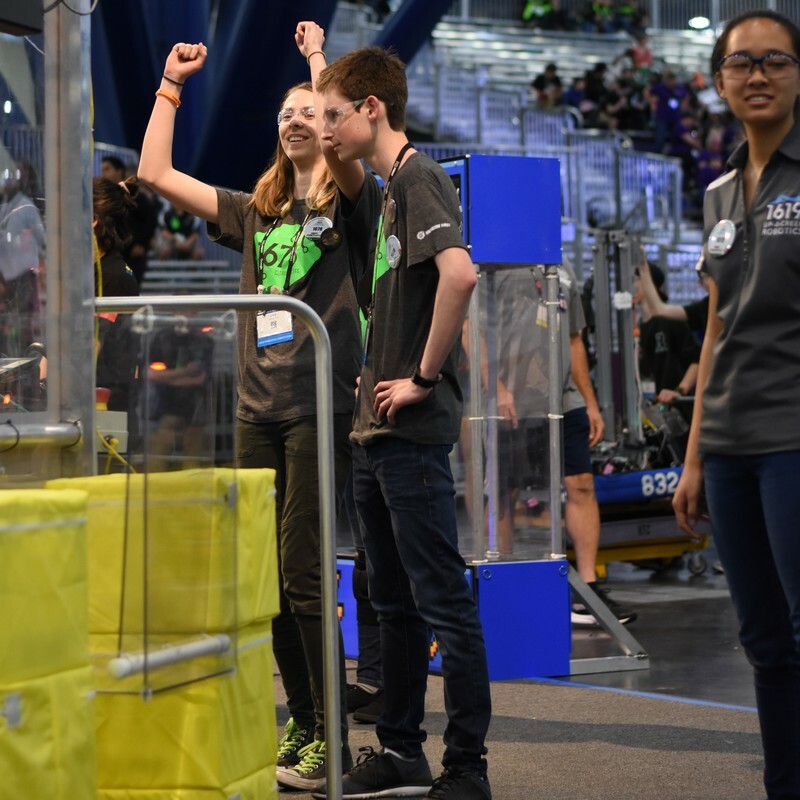 A huge thanks to our friends Hall of Fame Team 3132, Thunder Down Under, from Australia, who were able to to be there to celebrate this achievement with us. They were an inspiration and helped throughout the entire submission process. Thanks also to the many teams who provided us with advice and suggestions to help improve our essay and presentation. We greatly appreciate all of their assistance and support. At Houston our presentation was given along with fellow Chairman’s Regional winners for a chance to win a spot in the Hall of Fame. While our presenters for the award were exceptional, the actions and participation of every member on our team took us closer to this achievement. While at the regional, we went undefeated with an average ranking point score of 3.8, missing 1 point overall, making it to eliminations as the first seeded team. Our alliance was made up of 1323 Madtown Robotics from Madera and 3970 Duncan Dynamics from Fresno for the playoff matches, where we advanced to finals and won, generating a wildcard for team 6474 Armijo Robotics from Fairfield. We started off our season by winning our first regional at Utah, held in West Valley City, UT from February 28 to March 3. There were 52 teams competing, including teams from Colorado, California, Utah, Idaho, Texas, Wyoming, and even a team from Chile. During qualification matches, we seeded first with 29 ranking points and allied with Team 399 Eagle Robotics from Lancaster, CA and Team 1410 The Kraken from Denver, CO. With this alliance, we made it all the way through elimination rounds without losing a single match on our way to a blue banner. We also won the Quality Award sponsored by Motorola Solutions Foundation, an award given to teams whose robot shows machine robustness in concept and fabrication.